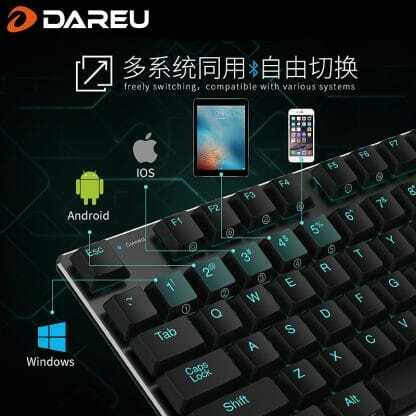 The DareU EK820 is a 68-key wireless bluetooth mechanical keyboard which uses the all-new Kailh low profile “Choc” mechanical keyboard switches in either blue switch or red switch models. 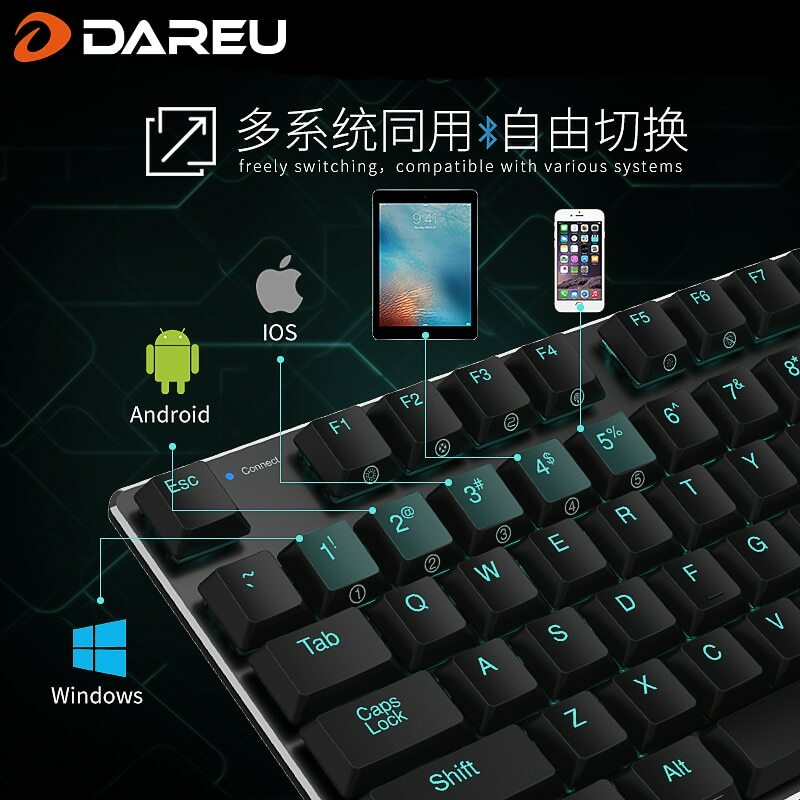 The DareU EK820 has an extremely low-profile and streamlined design with extremely thin bezels, a chrome trim around the entire keyboard, and a total height of 22.5 mm. The board has flip-out legs on the back which can raise the angle of board orientation. The new Kailh low-profile “Choc” switches provide a typing feel reminicent of laptop scissor switches, with a short travel distance and crisp, firm keypress. 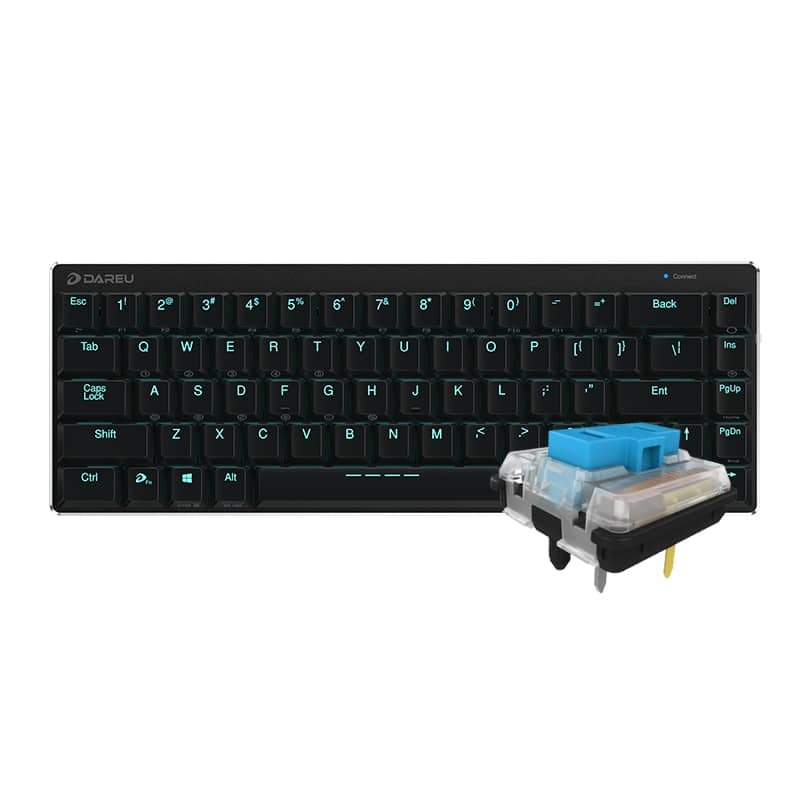 Blue switches are clicky and contain a clickbar to generate to click, similar to that of Kailh Box White or Kailh Bronze switches. Red low profile switches are linear. 1. Dual Wired/Wireless Modes: Can be used either in wired mode for charging or if there are concerns about latency (i.e. 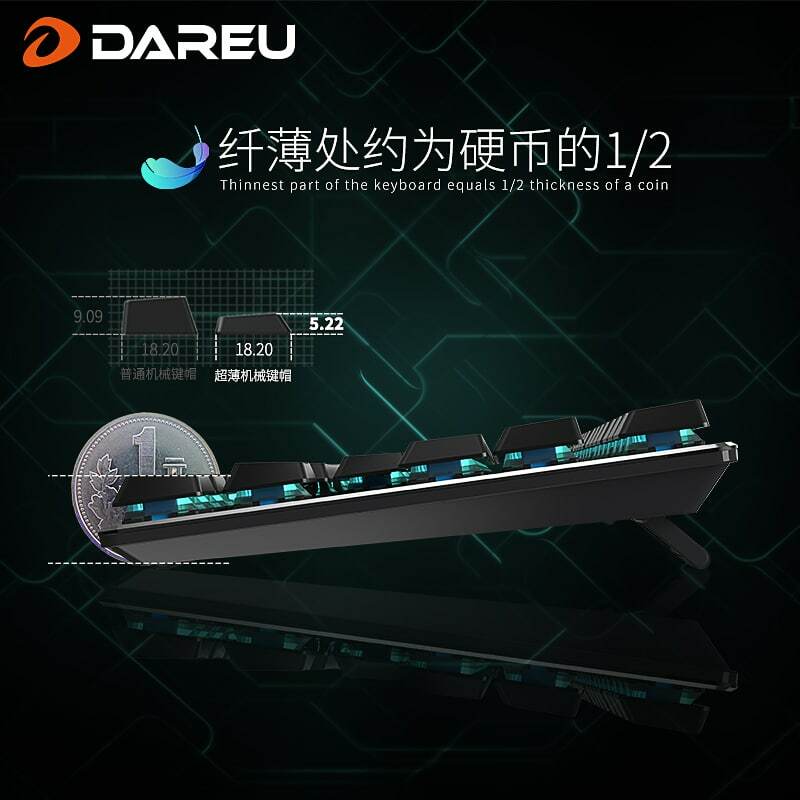 Gaming) as well as in wireless bluetooth mode for convenience and mobility. Note: backlighting only works in wired mode for battery conservation. Bluetooth supports Bluetooth 4.0 for low power consumption. 2. Beautiful Backlighting: Has bright, teal-colored backlighting when board is used in wired mode with multiple lighting modes. 3. 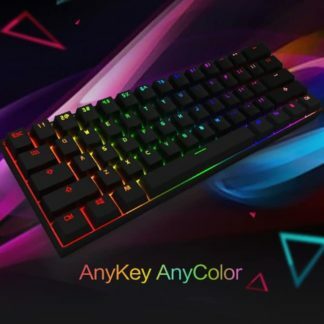 Long battery life: The board comes with a 300 mAh battery which can power the keyboard in bluetooth mode for up to 40 hours per charge. Charging time is approximately 3 hours. 5. Extremely low profile body: The board has a total height of 22.5mm with an extremely sleek, streamlined design.